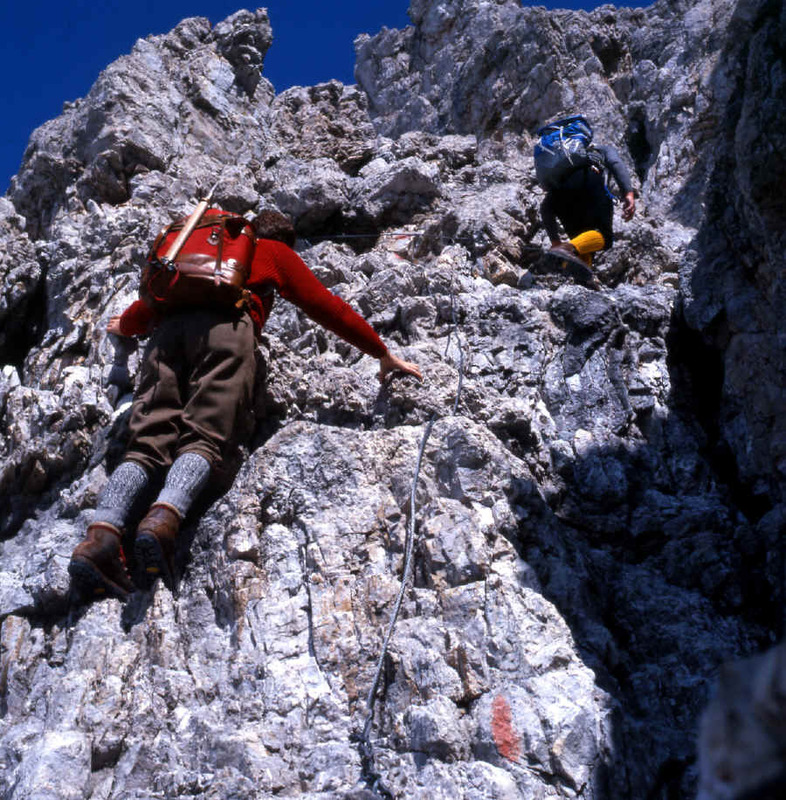 Description:The SAT (Trentino Mountain-Climbing Association) started work on this route in 1936. The various stretches were dedicated to well-deserving SAT members or to those financing the work. 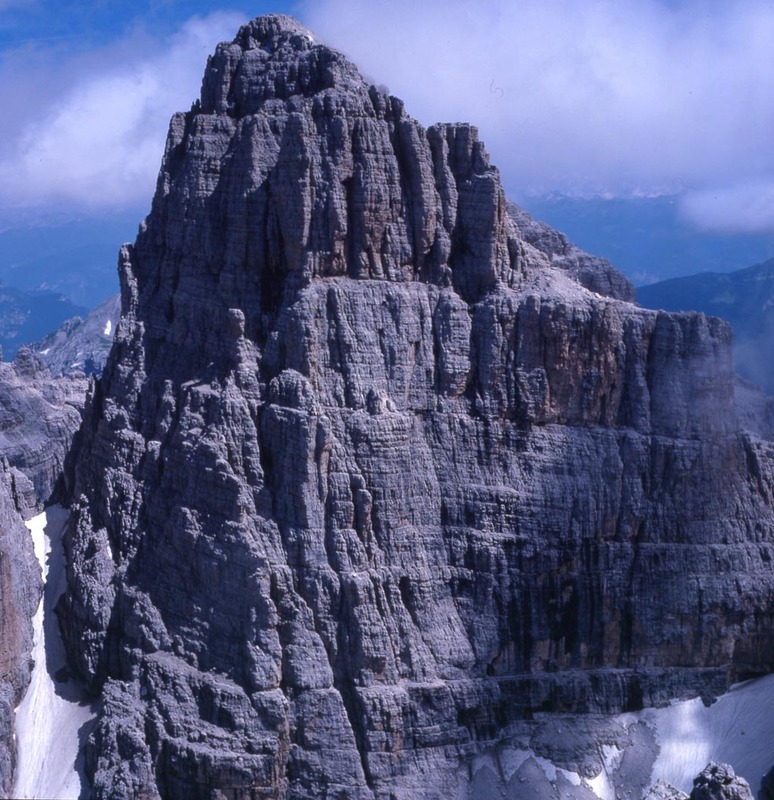 The particular beauty of the scenery, the audacity of the routes and the unmistakable majesty of the shapes of the Dolomite pinnacles are the reasons for the fame of this Alpine itinerary, and a large number of enthusiasts have been able to appreciate this route for themselves. 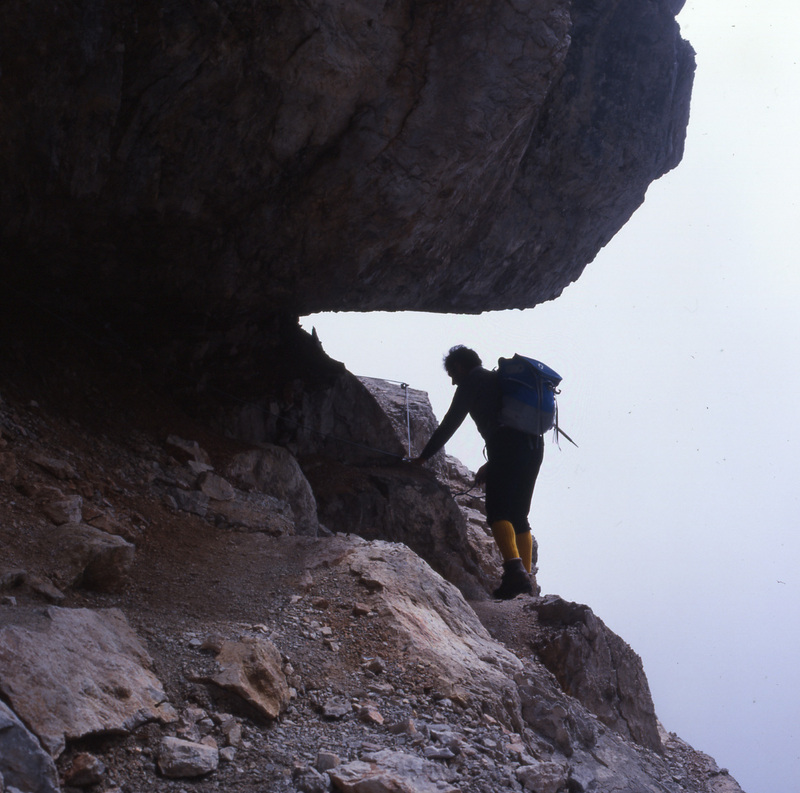 Unfortunately not all hikers show proper respect for the environment (certain natural cavities in the Brenta gorges are full of unpleasant reminders of the passage of hordes of “forgetful” tourists). 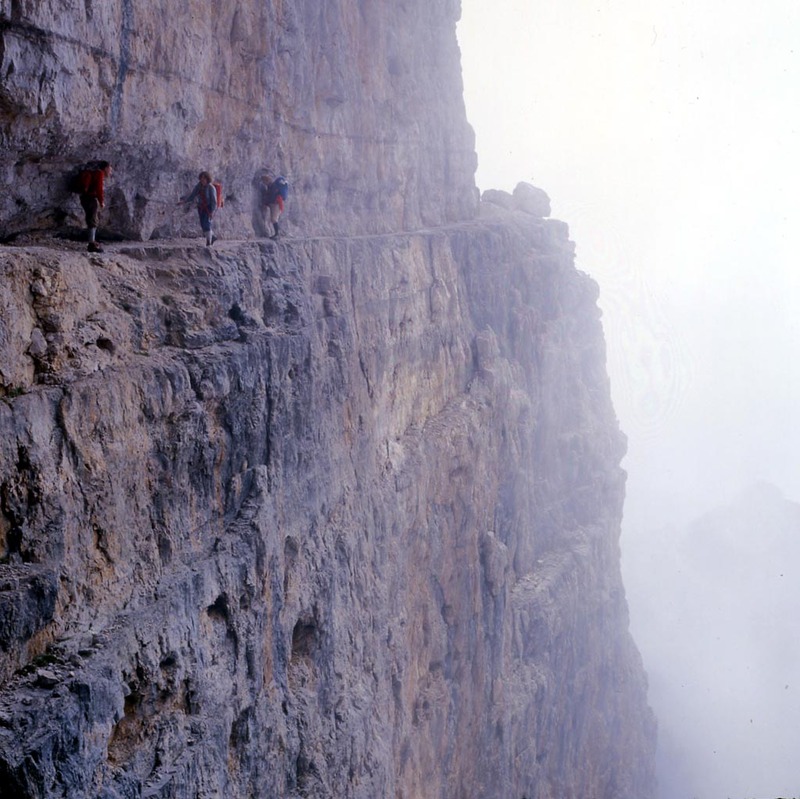 The first stretch of the route, dedicated to Otto Gottstein, starts just after the Bocca di Brenta pass. 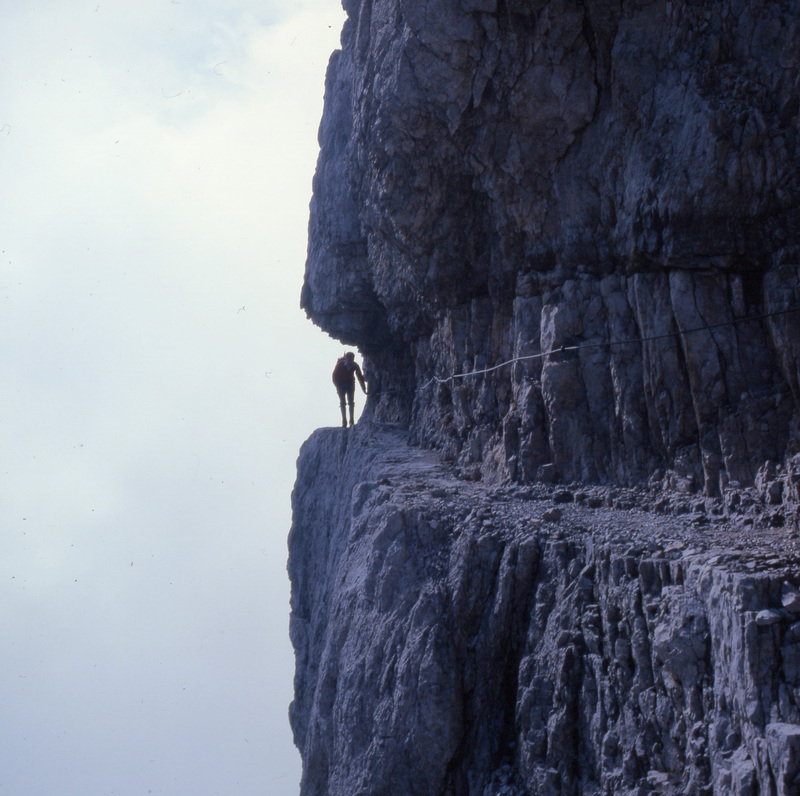 A series of ladders takes you around the Cima Brenta Alta from the west, going along a natural rock ledge which leads to the Bocchetta del Campanil Basso (2,620 m.). 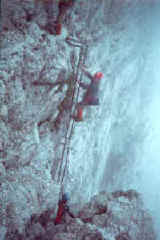 This is the beginning of the stretch dedicated to Arturo Castelli which goes to the Bocchetta Bassa degli Sfulmini pass. 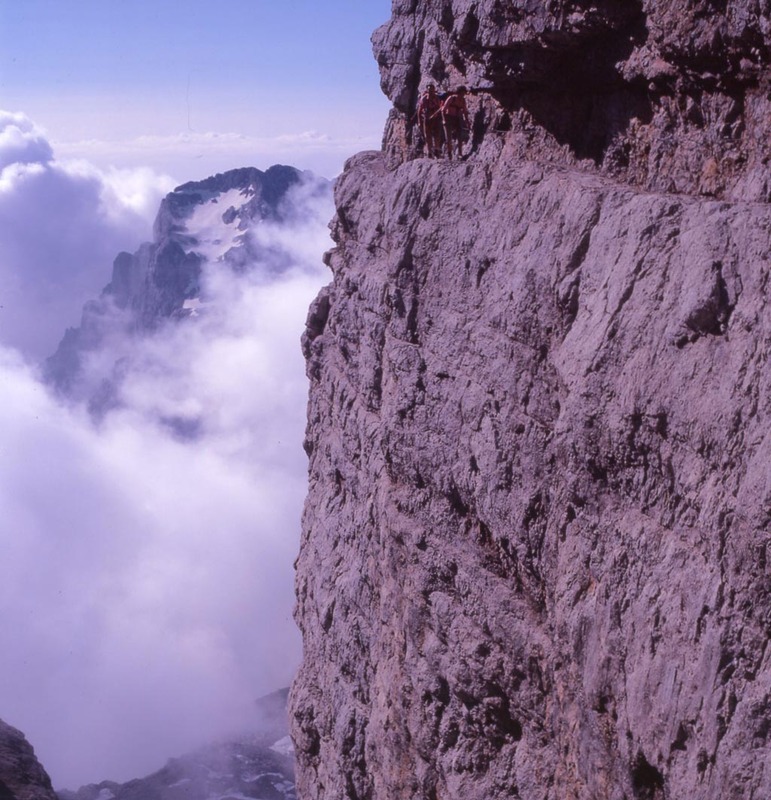 Then the route climbs up the slopes of the Campanil Basso as far as the Bocchetta del Campanile Alto and the Sentinella plain, and from here it goes along the ledge to the Bocchetta Bassa degli Sfulmini pass. This is the start of the stretch dedicated to Carla Benini de Stanchina. You then go past the Torri degli Sfulmini along a ledge carved out of the rock, keeping to the eastern slope, until you arrive at the Bocchetta Alta degli Sfulmini pass where the Figari route begins, Go around the Torre di Brenta from the south-east, on terracings carved out of the rock and you come to the distinctive tooth which overlooks the Bocca Armi pass, reached by means of a series of metal ladders. In about 30 minutes, after going down the Armi hanging glacier, you come to the Alimonta Refuge. 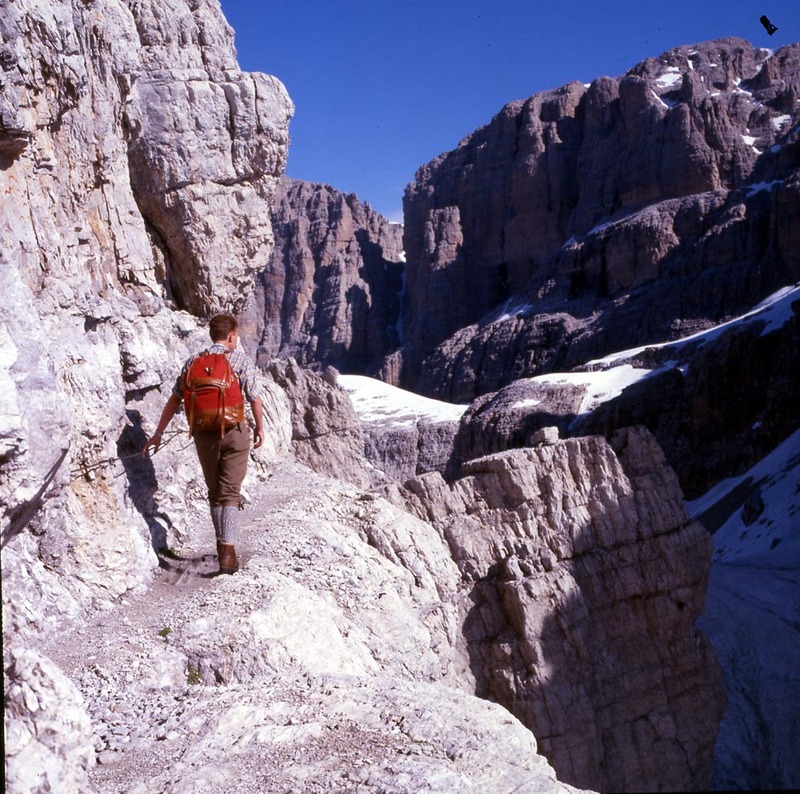 Hikers often feel a sense of melancholy mixed with satisfaction at the end of this route, for the experience of the hike and for the unforgettable scenery the route offers. 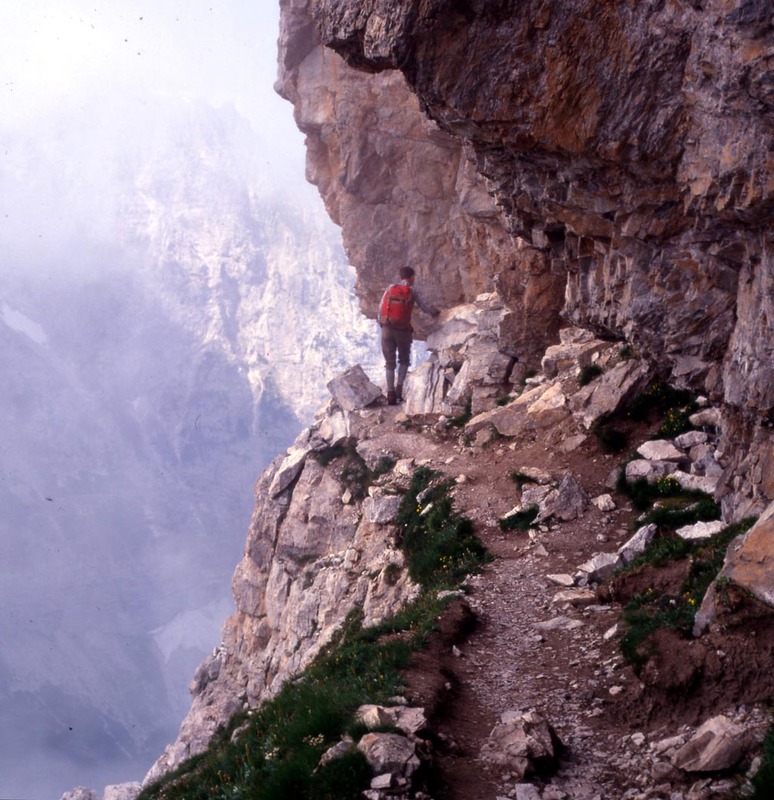 Recommended route for early return to base: from the Bocchetta del Campanile Basso over the slippery scree and following traces of a path you come to path no. 303 (Orsi path) and from here path no. 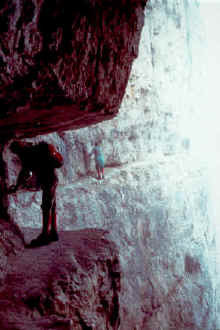 319 which goes to the Pedrotti Refuge. 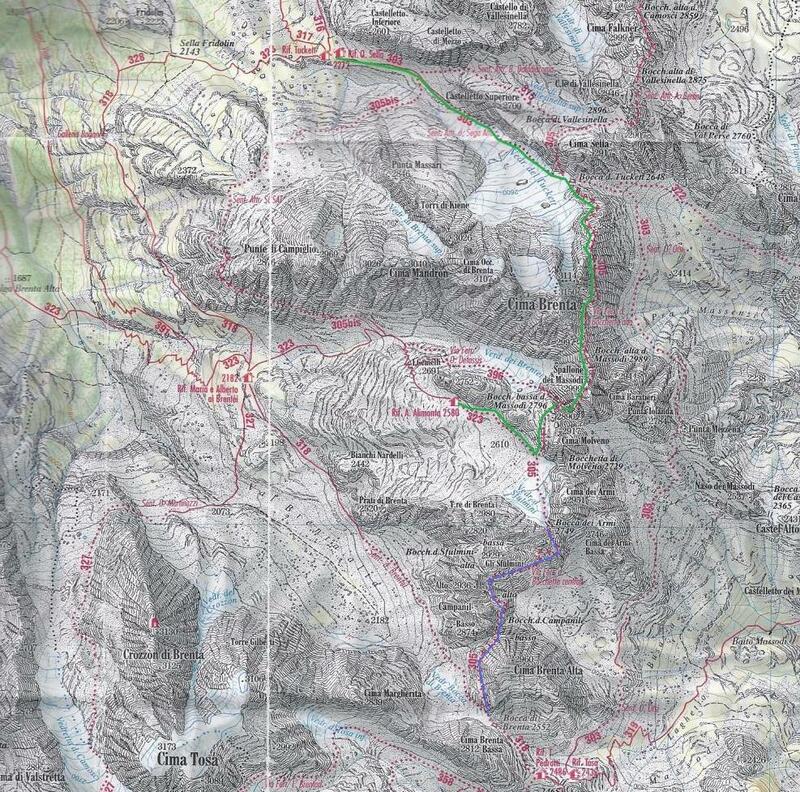 There is an alternative but more demanding route that comes down from the Bocca Armi pass towards the east (Massodi Valley).